Heads up, gift givers! 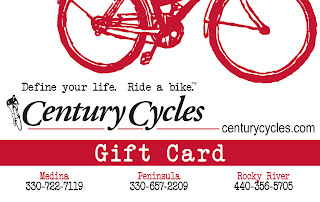 If you've got a cyclist on your list, a small card may bring the biggest smiles. 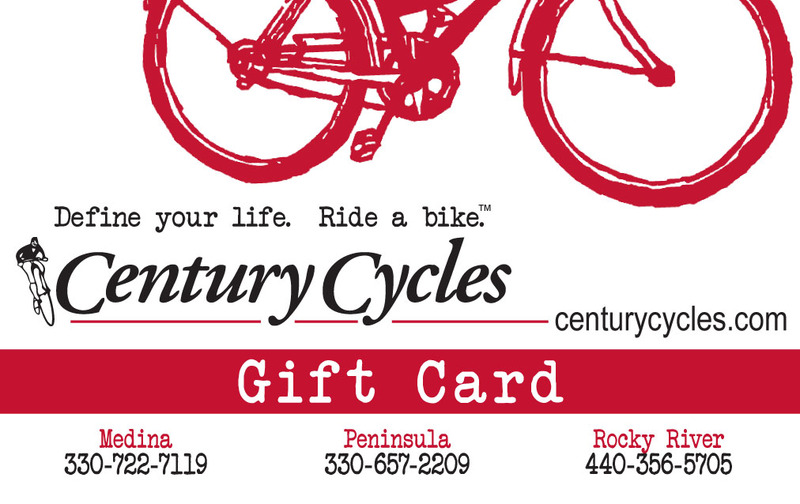 Last year we polled Northeast Ohio cyclists about what they wanted Santa to bring and 30% voted a Century Cycles Gift Card, so they could pick out exactly what they wanted. That was followed by clothing and accessories to help them keep riding through the winter (24%), a new bicycle (21%), upgraded components for the bicycle they already own (16%), and clothing and accessories to be ready to ride in the spring (9%). No matter what you decide to give, be sure to take advantage of our staff's expertise to help you pick the right item, our holiday sale to save money, and the current Hot Deal to save even more money on our hottest products!